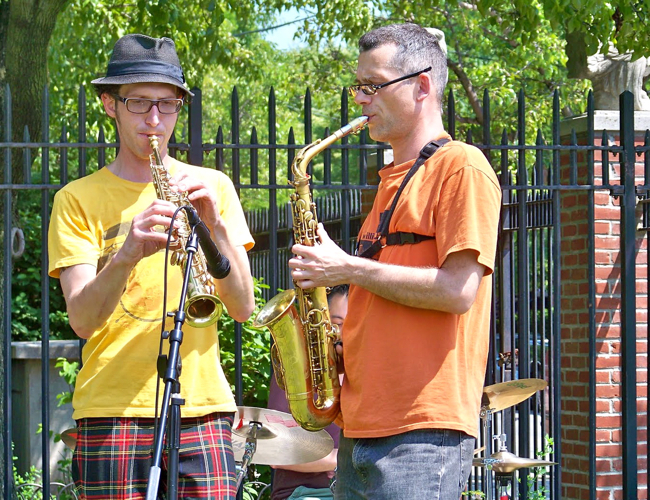 Sun., June 12, 1 p.m. to 6 p.m.; Sat., June 18, 1 p.m. to 6 p.m.: The Red Hook Jazz Festival, a two-day event, attracts hundreds of families each year for jazz in the sunshine at the lovely Urban Meadow, on President and Van Brundt (right next to the shady and fun Cabrini playground). This is the fourth year of a homegrown event featuring an amazing line-up of mostly local talent. These musicians often live and work in NYC but regularly play all over the country and the world and come back to play in their own backyard. Sun., June 12, 1 p.m. to 6 p.m. Sat., June 18 to 1 p.m. to 6 p.m.
For directions to the Urban Meadow. Tags: 1 p.m. to 6 p.m., 1 p.m. to 6 p.m. The Red Hook Jazz Festival 2011, June 12, June 18, Sat., Sun. I went last year and had a great time – Fun spot, live music and outdoors makes for a fantastic combo! !